Meeting for clusters representatives from the Visegrad Group countries is the first meeting of cluster organizations of the Visegrád Group in terms of a project Clusters in the Visegrad Group ­Challenges of the Future executed by the Polish Clusters Employers' Association, and supported by the International Visegrád Fund with its headquarters in Bratislava. In the project,we want to face the problems related to operation of clusters in the V4 region by organizing a meeting that will create space for sharing experience, solving problems and building a new network of people involved in clusters in the V4 countries.The key subject of the project is going to be innovation in clusters,i.e. research and development cooperation and effective technology transfer in clusters(more than half of cluster companies operate in the area of R&D and introduce innovation­clusters are a pro­innovation oriented environment;companies operating in clusters have a much greater ability to create innovation than their counterparts outside the structures. Cluster representatives from different countries have common problems, needs and interests internationally, it is therefore, important to establish cooperation between the V4 clusters.Clusters are an extra­sectoral network of formal and informal relationships between manufacturers and their suppliers and consumers, science and technology institutions, competing and cooperating with each other in certain aspects of their operation. Hence, the role and importance of clusters in development of both the local economies and the entire V4 group. In the future, innovation of the V4 countries and of the entire region will be based on innovative small and medium enterprises.The project will open the door for international collaboration between the V4 clusters, thus promoting the entire V4 region. In terms of a project Clusters in the Visegrad Group ¬Challenges of the Future executed by the Polish Clusters Employers' Association, and supported by the International Visegrád Fund with its headquarters in Bratislava.Meeting for clusters representatives from the Visegrad Group countries will be organize meeting of cluster organizations of the Visegrád Group. During the conference, planned for November of this year, we intend to face the problems related to the functioning of clusters in the V4 region, by organizing a meeting which is going to create a space for exchanging experiences, solving problems, and creating a network of people engaged in the activity of clusters in the countries of the Visegrád Group (V4). The meeting, which is going to take place in Poland, will constitute a chance to present partners from the Visegrád Group with the experiences of Polish cluster which are an effect of the cooperation between the representatives of Polish academics and support received from the public administration, local governments, but also central administration and institutions supporting business and academics. A key subject of the discussions and presentations will be, among other things, the close cooperation between entities from the V4 region and innovativeness in clusters (research-development cooperation as well as an efficient technology transfer within the clusters), because in our opinion companies operating in clusters possess much broader capabilities to create innovations than their equivalents from outside cluster structures. The conference will start with a solemn dinner at 8 PM on November 23rd 2017 in Brenna (Hotel Kotarz Spa&Wellness, ul. Wyzwolenia 40, 43-438 Brenna). The proceedings of the conference will also take place at the Silesian Aviation Cluster. The intention of such an organization is the will to present the guests, primarily foreign ones, with the accomplishments of the Cluster achieved thanks to a harmonious cooperation of Silesian entrepreneurs with the local and central administration, as well as agencies supporting entrepreneurship in Poland. That is why we plan to organize a session on November 24th at the Bielsko Aviation Technology, Entrepreneurship, and Innovation Park in Kaniów, where the Silesian Aviation Cluster operates. During the meeting, a study visit to the Silesian Science and Technology Centre of Aviation Industry Ltd which is one the most modern innovation centres in Europe. The core areas of the Centre's activities are the development and implementation of lightweight and durable composite materials in the aerospace industry. The Centre has successfully implemented its own research and development projects, simultaneously providing services through accompanying customers at every stage of the construction of composite structures - from design to production of finished elements. The organizers no longer have free venues for the conference on 23 November, and that registration is only possible for the part of the conference that takes place on 24 November in Czechowice Dziedzice. * Due to the fact that the number participants of solemn dinner reserved at the Hotel by the Organizer is limited, participation in this part of event will be determined by the date and time of application (in the case of a large number of applicants the organizer provides for the possibility of creating a standby list). What are their successes and what are their problems? ow do clusters finance their development? (activation of international clustering and preparation for participation in international projects, cluster support using public money, the impact of clusters on the economic development of the V4 region, internationalization of Clusters). How to develop an innovation ecosystem and intensify research and development of new technologies in the cluster? R & D cooperation in Clusters. Effective technology transfer in Clusters. Piotr Kowalski - President of the Management Board - Wielton Investment Ltd., Strategy and Development Director - Wielton S. A. Presentation based on the activities of GAPR and implemented projects, MedSilesia cluster and cluster support projects. Summary of the event (5 minutes each) and opening the matchmaking events by moderators in cooperation with events’ experts. Study visit to the Silesian Science and Technology Centre of Aviation Industry Ltd.
Meeting for clusters representatives from the Visegrad Group countries is the first conference of cluster organizations of the Visegrad Group, which took place as part of the project implemented by the Employers` Association Polish Clusters project entitled Clusters in the Visegrad Group ­ Challenges of the Future , supported by the International Visegrad Fund with its registered office in Bratislava. The conference took place on 24 November 2017 in Brenna near Bielsko-Biała and in Czechowice Dziedzice (within the Silesian Aviation Cluster, Bielsko Aviation Technology, Entrepreneurship and Innovation Park and the Silesian Science and Technology Centre). A day earlier, on November 23, the ceremonial start of the conference had been held preceded by conversations on the side-lines of participants from Poland and from abroad. During the first of the series of conferences, which took place in November 2017, we tried to deal with problems related to the functioning of clusters in the V4 region, organizing a meeting that created a space for exchanging experiences, solving problems and building a network of people involved in clusters in the Visegrad Group countries (V4). The meeting was an opportunity to present Polish cluster experiences to the partners from the Visegrad Group, that are the result of cooperation of the business community, Polish science and support received from public administration, both local government as well as central administration and institutions supporting business and science, but also an opportunity for partners from other countries of the V4 region to share experiences in the cluster policies of Hungary, the Czech Republic and Slovakia. The key topic of the discussion was cooperation of clusters from the V4 region for the growth of innovation (research and development cooperation and effective technology transfer in clusters). As scientific research in the field of economics and management proves companies operating in clusters have a much greater ability to create innovations than their counterparts outside the cluster structures. In accordance with the application as part of the project implemented by the Polish Clusters entitled Clusters in the Visegrad Group ­ Challenges of the Future the organization of one event was planned: Meeting for clusters representatives from the Visegrad Group countries. The conference began with a gala dinner at 20:00 on 23 November 2017 in Brenna (Hotel Kotarz Spa&Wellness, ul. Wyzwolenia 40, 43-438 Brenna). However, before its official opening, there was a meeting of representatives of the Polish National Key Clusters (KKK), who then took part in the whole further part of the conference. The conference itself was preceded by numerous meetings and conversations on the side-lines of over 50 participants, who came to the conference from Poland, Hungary, the Czech Republic and Slovakia. The conference allowed to exchange information on the conditions of cluster activity in particular V4 countries, on the policy pursued towards clusters at the EU, national and regional level. Presentation of cluster support tools in individual countries, and especially recognition and description of differences in the approach to clusters, provoked participants to prepare proposals for changes in national and regional systems of their home countries. The conference also served the purpose of getting to know the participants more closely, in order to continue the discussions on specific economic and innovative cooperation between the project partners. Already at the conference and shortly afterwards, several joint projects were proposed, mainly on the nature of cooperation in the field of innovation. On 24 November 2017 the conference was divided into parts and took place on the site of the Silesian Aviation Cluster. The intention of organizing this was to present guests from abroad (but also clusters from Poland), Cluster achievements obtained thanks to the harmonious cooperation of Silesian entrepreneurs with Universities and Scientific Institutes, with local and central administration and agencies supporting entrepreneurship in Poland. For this reason, the session was organized at the Bielsko Aviation Technology Park on 24 November, Entrepreneurship and Innovation in Kaniów, in which the Silesian Aviation Cluster operates. There was a plenary session from 10:00 to 11:00, led by Mr. Krzysztof Krystowski President of the Polish Clusters Employers' Association (Poland), representing the Project Leader, who was responsible for the substantive preparation of the session. In addition to Mr. Krystowski, the following people took part in the session: Mrs. Tamás Susányi, Senior Advisor of Software Innovation Pole Cluster (Hungary), Mr. Daniel Acs, President of The Union of Slovak Clusters (Slovakia), Mr. Petr Tomasek, Moravian Aerospace Cluster, z.s., (Czech Republic). Each speaker talked about the situation of clusters in their respective countries. Speakers drew the remaining participants of the conference closer to the cluster situation in their respective countries, they spoke of the period when the first clusters in their respective countries were established and about the initiatives in which they participate in their countries and the international arena, support for clusters and cluster initiatives by their governments, successes and problems and tools for financing their development. The participants exchanged information on the number of clusters in the countries in which they operate and in which area. Attracting most interest among the participants was the speech of Mr. Petr Tomasek, where he presented the policy of the Czech government in a very favourable manner to the activities of clusters (and even cluster initiatives that are just beginning their activity), who can count on large financial support. Another discussion concerned the Development of partnerships between clusters with the V4 region (activation of international clustering and preparation for participation in international projects, cluster support using public money, the impact of clusters on the economic development of the V4 region, internationalization of Clusters). The host Mónika Gortva-Kónya - cluster manager of Software Innovation Pole Cluster, was also a participant in the session and represented the partner in the project, who was responsible for the substantive preparation of this part of the conference, cooperating with the Project Leader. Other participants of the discussion were: Mr. Daniel Acs, President of The Union of Slovak Clusters (Slovakia), Artur Ochojski - Silesian Agency for Entrepreneurship and Development Ltd. (GAPR), University of Economics in Katowice, Piotr Kryjom - Department of Internationalization of Enterprises, Polish Agency for Enterprise Development. Mrs. Gortva-Konya focused her speech at presenting: On national level supported internationalization actions for SMEs by Structural Funds, combinated with loans, but also on the example of the activities of her cluster, discussed tools for fostering the international business cooperation (such as: development of transnational cooperation within V4 countries, in and beyond Europe, Supporting new emerging cross-sectoral value chains, accessing to updated and qualified information related to cluster development, increasing the competiveness of cluster members and support the members’ representation on the international market). The subject of the speech by Mr. Artur Ochojski was the development of partnership between clusters in the V4 region called CERADA (modern economy in the regions is set up on co-learning of business entities and their institutional milieu specialisation is linked to technological relatedness and consecutively effective technological policies of territories creation of the Central European Research and Development Area called CERADA has been an “offer” granted to business, universities and policy-makers through the cooperation effort of four regions material processing, automotive and aviation sectors in four administrative regions of Moravskoslezský kraj (Czech Republic), województwo śląskie (Poland), Zlínský kraj (Czech Republic) and Žilinský kraj (Slovakia). Mr. Piotr Kryjom talked about the instrument of supporting Polish clusters (having the status of National Key Clusters – of significant importance to the economy), otherwise about the competition organized by the Polish Agency for Enterprise Development and the Ministry of Development for National Key Clusters, on the financial support that is offered to clusters possessing this status by government administration, but above all about the opportunities offered by the strongest clusters in Poland - the competition itself – that is, financial support for actions aimed at internationalization of the economic activity of clusters (and companies belonging to their structures) and their recognition beyond the country. The speech was particularly interesting for participants from abroad, where cluster activities are supported in a different form. After the lunch break the session started (from 13:30 to 14:20) entitled Innovations in Clusters, the themes of the discussion being: How to develop an innovation ecosystem and intensify research and development of new technologies in the cluster? R & D cooperation in Clusters/Effective technology transfer in Clusters). The session was led by Mr Paweł Nowicki CEO, BioTechMed Cluster Mazovia. Pan Nowicki represented the coordinator of the BioTechMed Cluster Mazovia Cluster, who as a representative of the partner in the project (BTM Innovations ) and an expert on the subject of R & D, as well as innovation in clusters was responsible for the substantive preparation of the session in cooperation with the Project Leader. The remaining participants of the discussion were: Mr István Susányi, senior consultant, ABRIS Ltd. (cluster member of Software Innovation Pole Cluster), Mr Artur Ochojski - Silesian Agency for Entrepreneurship and Development Ltd. (GAPR), University of Economics in Katowice, Mr Piotr Kowalski - President of the Management Board - Wielton Investment Ltd., Strategy and Development Director - Wielton S. A. (member of Silesian Aviatan Cluster). Mr Artur Ochojski based his speech mainly on the currently implementation by Górnosląska Agencja Rozowju Przedsiębiorczości Sp.z o.o., with whom he cooperates (the MEDSILESIA cluster co-ordinator) with the smart_WATCH project, which aims to shape a network of entrepreneurial environments (we can call them ecosystems, clusters) in European regions interested in increasing access to useful technological and market knowledge, mainly in the field of smart specializations (RIS3) (more on: http://interreg-central.eu/Content.Node/SMART-watch.html). Mr. Piotr Kowalski talked about the cooperation of Wielton to date as part of cluster structures, benefits flowing from such cooperation, especially in the context commenced by Wielton, as a member of internationalization, which is administered by the Silesian Aviation Cluster to its member. Mr. Istvan Susanyi shared his experiences of cooperation with the cluster, which he represents in the area of R & D with the University of Szeged. The conference part of the event was completed by a brief presentation of Ms. Izabela Czeremchu and Mr. Andrzej Szymborski, representing the Upper Silesian Regional Development Agency - who shared their institution's experience in international cooperation, participating in joint projects with other cluster organizations from V4 countries but also throughout Europe as well They explained what chances for the development of clusters and the promotion of the entire V4 region provide partnership and cooperation at international level. A particularly interesting part of the conference was a study visit, which took place at the Silesian Centre for Science and Technology of the Aviation Industry in Czechowice-Dziedzice (Pol: Śląski Centrum Naukowo-Technologicznym Przemysłu Lotniczego Sp. z o.o. ), which is one of the most modern research and industrial cooperation centres in the area of composite structures production in Europe. The main areas of the Centre's activity are the development and implementation of light and durable composite materials in the aerospace industry. The Centre successfully implements its own research and development projects, at the same time providing services for the industry by accompanying clients at every stage of the creation of composite structures - from design to production of ready-made elements. The visit was conducted by Mr. Bartłomiej Płonka (President of the Centre). The visit was an opportunity to personally acquaint visitors with a project completely developed and built within the cluster's activity and for its members, companies from the aviation industry but also automotive industry. The cost of more than EUR 12 million, with the support of EU and Polish Government funds, has created an innovative centre with state-of-the-art infrastructure, thus supporting the potential of local industry. Guests from Group V4 received information on how to prepare, finance and implement this project, which will help them to generate similar projects in their countries. 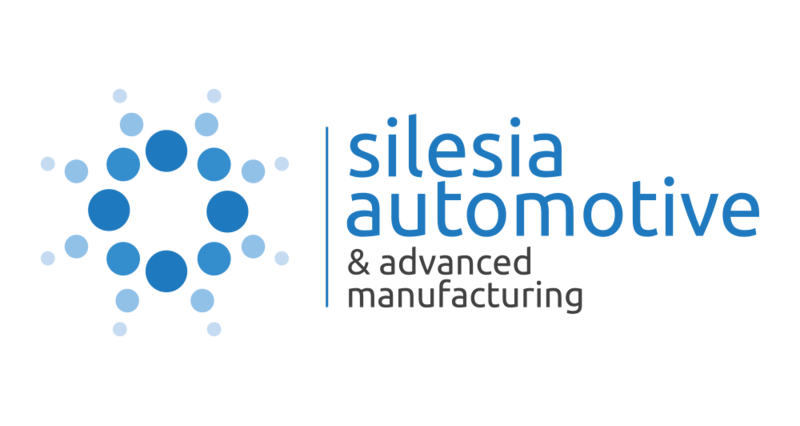 During the conference, an agreement on research and development cooperation between the Silesian Aviation Cluster and the Silesian Automotive Cluster was also signed, based on, among others, the following key elements. on the intellectual potential and infrastructure created by the Silesian Aviation Cluster and the Silesian Centre for Science and Technology of the Aviation Industry. Registration will be opened between 01/10/2017 and 16/11/2017 (11:59 CET). To register, complete the form below. Successful applicants will be notified two days after registration deadline.